From backstage, Rabbi David Baron surveys the almost full house at The Saban Theatre on Wilshire Boulevard in Beverly Hills. When it’s not the venue for national touring acts like Al Dimiola or A-list comedians like Jerry Seinfeld, the Saban is home to Baron’s flock. Known as “Hollywood’s Rabbi,” Rabbi Baron’s Temple of the Arts caters to the spiritual needs of many in the motion picture and television industry. The Temple’s database rivals Amy Pascal‘s e-mail list, without the vitriolic messages of overnights stats or jibes at Hollywood’s A-listers. Many of them have sat in this very audience to soak up a signature sermon by Rabbi Baron. Tonight however, as the good Rabbi goes over his notes before delivering his introduction, a motion picture of a different cut will be screened, while the Temple and its partners take a stand that is anything but popular in Hollywood. “Beneath the Helmet” seems more buddy movie than documentary. 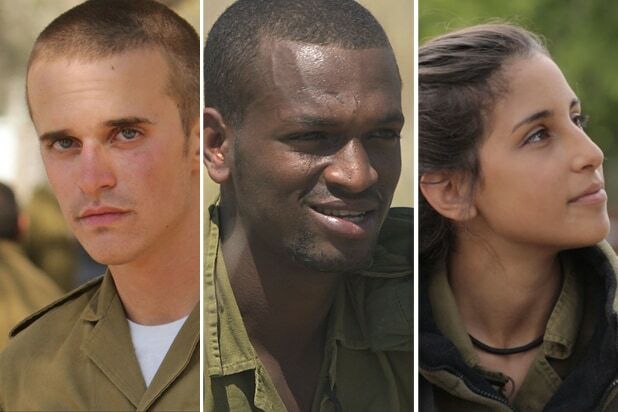 Reminiscent of “The Breakfast Club,” “Beneath the Helmet” is actually a coming-of-age film about five children who are one day surfing on the beach with friends, and the next day soldiers in the most vilified and lethal army in the world, the IDF (Israeli Defense Force). Where “Beneath The Helmet” parts from other coming-of-age films is that these former teenagers exist in a temporal element that is the result of a cultural war that has been waged for eons. The issues that drove David to slay Goliath still linger. This time, Uzis have been traded for slingshots, and the weight of world opinion delivered in skewed Facebook memes and BDS (Boycott, Divest, Sanction is a movement aimed at forcing college campuses to cut all ties to Israel) lies have put these young freedom fighters in the cross hairs of a planet gone mad. IDF Major Ortal Halff, a former Nachshol company commander (a unique company that only includes female combat soldiers that gather intelligence) was seated in the audience. Her organization, “Thank Israeli Soldiers” was among the list of non-profits and foundations that co-sponsored the screening. Looking more like a ballerina than a platoon commander, Major Halff’s resume includes more than 13 years of service as an intelligence ops specialist. As the lights in the art deco theater dim, Rabbi Baron takes to the stage, bathed in a keylight that the night before followed a global pop sensation. When it comes to serving, there is no choice in Israel. Unless you are in some fringe orthodox sect that cowers rather than fights and uses the Israeli constitution as more of a nursing blanket than a shield, you have no choice. You’re in. The difference between the basic training of the five soldiers profiled in “Beneath the Helmet” and a group of freshly scrubbed recruits who fall into line at Camp Pendleton is obvious. The Israelis eat, sleep, bathe and train on the battleground. I had to remind myself that these Westernized kids are half a world away from where I sit in relative security, drinking coffee and looking out on my quiet suburban street. We are isolated, inured, insulated against war. In the United States, it comes to us in shaky hand-held videos or blogs written by amateurs whose fragmented logic is the effluence of the sewer that their hate bubbles up from — we discuss and argue while waiting for the Pop-Tarts to spring from the toaster. We debate and haggle in between short spurts of TMZ sound bites. Not so in Israel, where war can break out at a moment’s notice — not an ocean away, but steps away. “Beneath the Helmet” as a documentary fulfills the goals that all documentaries ascribe to. However, the real gift of this movie is that it shows the greatest asset of any nation, their children, have the most to give, and the most to lose. 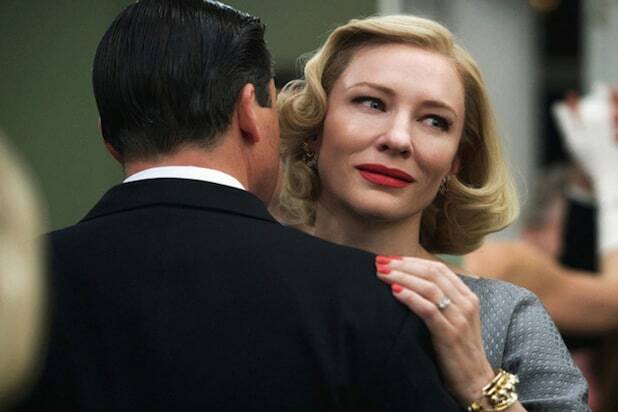 "Carol," directed by Todd Haynes. Set in 1950s New York, a department store clerk who dreams of a better life falls for an older, married woman. With Cate Blanchett, Kyle Chandler and Rooney Mara. "Chronic," directed by Michel Franco. The movie is about a home care nurse who works with terminally ill patients. With Tim Roth and Claire van der Boom. "The Assassin," directed by Hou Hsiao-Hsien. The martial arts film is set during China's Tang Dynasty period. "Macbeth," directed by Justin Kurzel. The movie, based on Shakespeare's play of the same name, stars Michael Fassbender, Marion Cotillard and Sean Harris. "The Lobster," directed by Yorgos Lanthimos. In a dystopian near future, single people are obliged to find a matching mate in 45 days or are transformed into animals and released into the woods. Starring Rachel Weisz and Colin Farrell. "Youth," directed by Paolo Sorrentino. A retired orchestra conductor is on holiday with his daughter and her friend in the Alps when he receives an invitation from Queen Elizabeth II to perform for Prince Philip's birthday. With Rachel Weisz, Paul Dano and Jane Fonda. "Louder than Bombs," directed Joachim Trier. While the plot remains undisclosed, the cast includes Jesse Eisenberg, Gabriel Byrne, Isabelle Huppert, David Strathairn and Amy Ryan. "The Sea of Trees," directed by Gus Van Sant. A suicidal American befriends a Japanese man lost in a forest near Mt. Fuji and the two search for a way out. The cast includes Matthew McConaughey, Naomi Watts and Jordan Gavaris. "Sicario," directed by Denis Villeneuve. A young female FBI agent joins a secret CIA operation to take down a Mexican cartel boss, a job that ends up pushing her ethical and moral values to the limit. The movie stars Emily Blunt, Josh Brolin and Benicio Del Toro. "Son of Saul," directed by Laszlo Nemes. During the Holocaust a prisoner is forced to burn the corpses of his own people, but finds moral salvation upon trying to salvage from the flames the body of a boy he takes for his son. "La Tête Haute," directed by Emmanulle Bercot. A coming-of-age story, it features stars like Sara Forestier and Catherine Deneuve. "Irrational Man," directed by Woody Allen. The movie is about a tormented philosophy professor who finds a will to live when he commits an existential act. It stars Joaquin Phoenix, Emma Stone and Parker Posey. "Love," directed by Gaspar Noe. The film is making waves in Cannes with its raunchy posters, touting a sensual 3D experience about "a boy and a girl and another girl." It stars Karl Glusman, Aomi Muyock and Klara Kristin. "A Tale of Love and Darkness," directed by Natalie Portman. Starring and making her directorial debut, Portman's story tells of Amos Oz, a writer, journalist and advocate of a two-state solution to the Israeli-Palestinian conflict. "Cemetery of Splendor," directed by Apichatpong Weerasethakul. The film is an Un Certain Regard title about a group of soldiers who suffer a mysterious sleep sickness in Thailand. "Arabian Nights," directed by Miguel Gomes. Clocking in at six hours, the film is billed as an exploration of modern Portugal through fairytale tropes. “Green Room,” directed by Jeremy Saulnier. This American entry is a racially-charged crime thriller starring Anton Yelchin, Imogen Poots, Alia Shawkat and Patrick Stewart. “Meditrranea,” directed by Jonas Carpignano. The film is a harrowing story of a Burkinabe man who sacrifices for a better life in Italy, only to be met with intolerance. "Amy," directed by Asif Kapadia. Easily one of Cannes' buzziest titles, the documentary chronicles the life of troubled British soul singer Amy Winehouse.